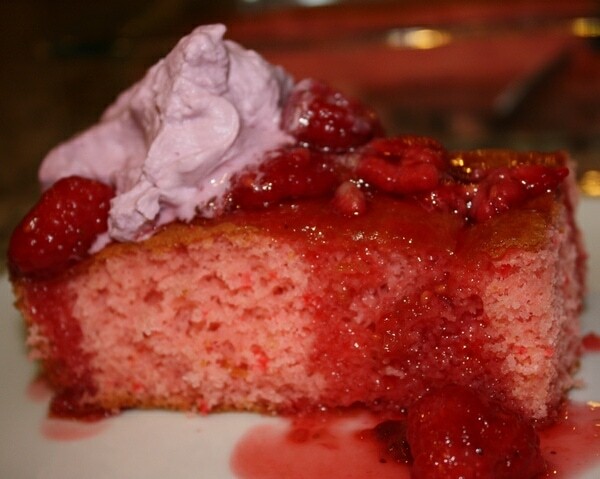 I happened to make the Strawberry cake that’s pictured above, but I’m all about buying one that’s already made (like a pound cake) and then spending time in the kitchen working on the topping. Here’s a quick recipe that will bring any store-bought cake to life. 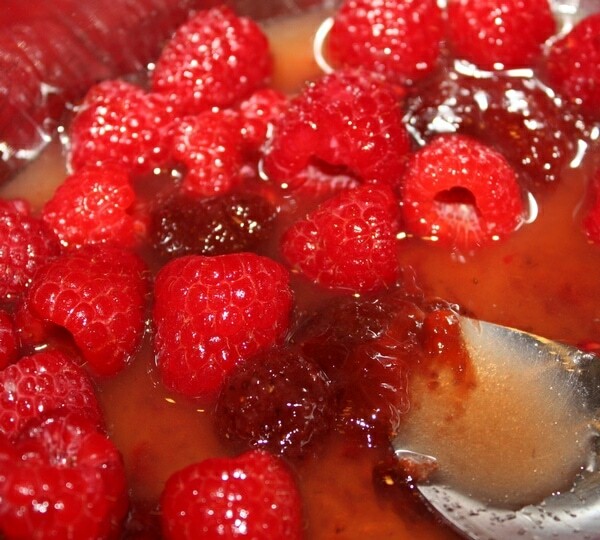 Heat everything together in a saucepan until the sugar dissolves. Serve warm. 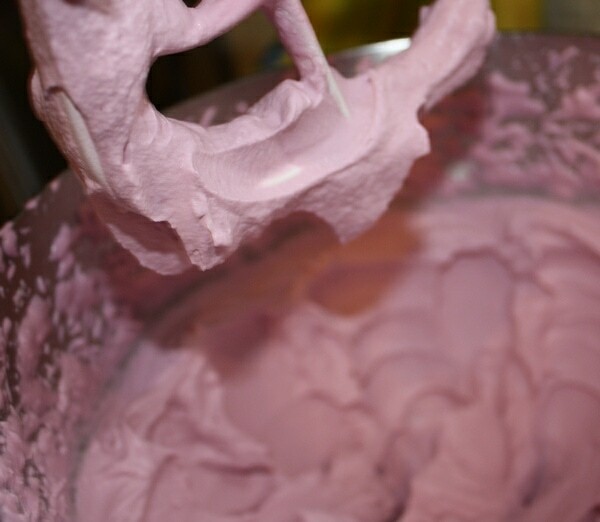 I tried to be cute and color the whipped cream pink… but it ended up looking more like a purplish blue. So ignore that small detail… LOL! Beat together on medium high until you start to see stiff peaks. Cover and refrigerate until you are ready to use. You can add food coloring at this point – but follow the box directions because I veered off and wasn’t happy with my result. Want to see more recipes from my ‘Inside the Kitchen’ series? Click here.